I was here, above the lake of Zürich, last weekend. It's a small village called Schindelegi, just 10 minutes, up the mountain, from the Richterswil exit, when driving from Zürich direction Chur. I gave a Thermomix demo to a fun group of international ladies. Menu included: Claudia's quick-rise baguettes, sun-dried tomato, cashew and capsicum dip, beetroot salad, carrot cake, pumpkin risotto and mixed berry fruity dream. I would have loved to have had a second TM to help me out for this demo. A few of the ladies couldn't make it on Saturday, so we met at the crack of dawn on Sunday in Zürich. We were extremely minimalistic - we only made poached eggs with hollandaise, followed by a green smoothie. Less than an hour and we were done, and ready for a morning swim. From 1st November 2011, the 100 SFr reduction for hosting a demo will no longer apply. BUT the good news is the Euro discount has been officially extended until December 2011. 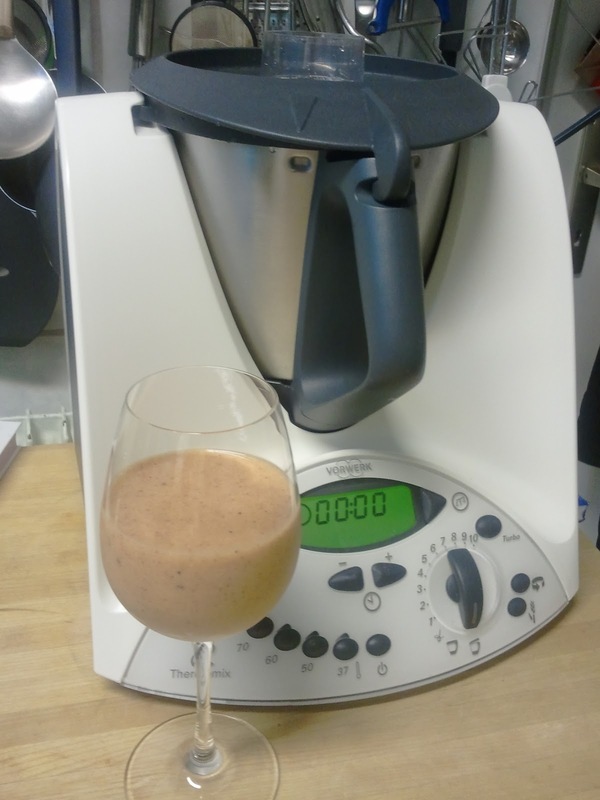 Thermomix (TM31) NOW 1290 SFr (plus 8% MwSt). and 100 SFr wedding OR baby discount is still current!